Georgiana studied Computer Science at Politehnica University in Bucharest. Since graduation (in 2009), she has been working as software engineer covering several programming languages, technical stacks and business domains. In 2015, PhD Alexandru Gherega helped her rediscover the passion for mathematics (and science in general) so the challenging and innovative research and development environment focused on interesting domains like computer science (functional programming, machine learning, IoT), maths and physics from icslab.eu fit her like a glove. 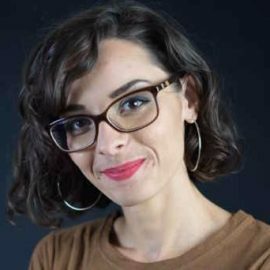 As a Clojure enthusiast, Georgiana attended several conference in Romania, Poland or United Kingdom while being an active speaker at local meetups.